It's embarassing, but I know very very little about the whole health care debate. To be completely honest, what I know about health care in general is depressing. I feel like I'm losing a lot of my feminist credibility by saying this, but my husband takes care of all of that. So when I had an opportunity to review this book, I jumped at the chance. It took me a while to get through it, even though it's relatively short, but I'm glad I did. First of all, this is a non-partial look at health care. It isn't from the perspective of "Obama-care is socialism and we're all goign to die" or from "Obama's plan will save us all from certain destruction". The author rarely even mentions names and doesn't refer to political parties at all. He starts by explaining the basic principles of health care as it is in America and as it is in other countries. He then explains ways that America is over-spending on health care, such as lack of preventive care and too many unnecessary tests and medications. In the final chapters of the book, he provides his solution to cutting these unncessary costs. 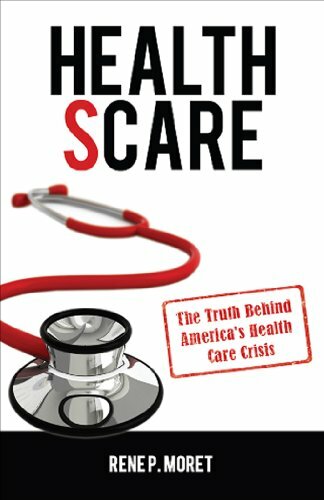 If you are like me and know next to nothing about health care, but want an unbiased look at what is the current situation, this is an excellent choice. My favorite thing about it was that I really didn't feel like the author was approaching the issue from a conservative or liberal political position. He was just defining the problem and explaining his idea for a solution. I do have to admit that I didn't really like his ideas for solving the problem, mainly because I feel like he ignored some big issues. Despite not agreeing with his solutions, I feel like I'm coming away knowing much more about health care and the problems our country is facing. I still need to learn more about Obama's plan, because that was not the focus of this book, but I feel like I really understand the basics now and can better form my own opinions. And now for my announcement. I occasionally mention on here that I have health issues. I have a nerve and muscle disorder, as well as some just genetic things that have led to chronic pain. I've had surgery, which helped some, and physical therapy also helped some. Last week I saw the doctor and found out that while I'm not in need of any more surgeries or PT (yay!!! ), there isn't much else to do for the pain. It's obviously not fun to be in pain at least 50% of always, and I won't lie and say that hearing it will always be this way didn't really get me down. But I believe in a Great Physician and I know that no weapon formed against me will prosper. Even if I'm never healed, I know I'll be taken care of and that all things will work together for my good, as I am called according to God's purpose (end of sermon). So I've decided to take charge of the things I can control and get in shape by eating right and exercising. Luke and I have been walking the dogs daily which is good for all of us, and now I'm getting am amazing chance to work on the food part. I'm starting a new weekly (sometimes bi-weekly) feature focusing on the book Cooking for Geeks by Jeff Potter. It's a sort-of cookbook that goes into the geeky-sciencey part of cooking. I'm learning all about the chemical reactions that take place in food, the way that flavors interact, and how our bodies detect those flavors. He also has tons of awesome cooking hacks. I'm seriously geeking out over it. So after talking to the author, I've decided to feature a recipe from the book each week. I'll choose a recipe, cook it completely on my own, take pictures, and then feed it to a panel of friends (Luke, Bestie, and Bestie's hubs). After they review the cooking, I'll have a short email conversation with Jeff about how I could change things. Then I'll post the interview, reviews from my panel, and pictures on the blog. Sound like fun? What do you think? The health scare. I don't think I should much comment on this one. However, I do think that we should of taken care of the preventative measures before there was a scare. That and there should not be artery clogged meat available for a measly dollar. I dabble in the science area because well, it is fun to find out things like the chemical reactions. 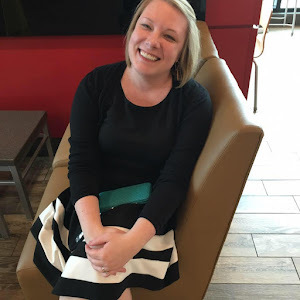 It sounds like you are scheming up a fun new series! 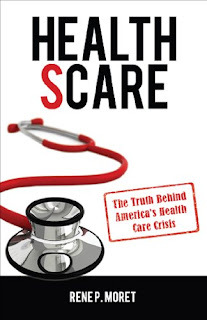 If you promise not to tell anyone, I'll confess that I'm about as ignorant of the whole health care thing as you were before reading the book. I know it is something I should know more about ... but it seems like one of those issues that is so hard to get your head around. And I'm sure being told you'll always face chronic pain is a big downers ... but you seem to have the right attitude to deal with it. And have fun geeking out about cooking!